Deep Creek Lake, the largest freshwater lake in Maryland, extends 12 miles and has a surface of 3,900 acres with 65 miles of shoreline. The four-season resort, located in Garrett County, Maryland, offers a wide range of activities such as boating, fishing, camping, swimming, hiking, bicycling, and horseback riding in the summer and skiing, snowboarding, snowtubing, and snowmobiling during the winter months. Deep Creek Lake is a quiet and relaxing getaway destination and one of the region’s best-kept secrets. The freshwater lake is great for swimming. It’s clean and refreshing. Easy to get to, and even in the peak season, traffic is reasonable. Temperatures are usually 10-15 degrees cooler than surrounding area providing relief from the heat in the summer and the area is more likely to have snow needed for winter sports during the winter. Reasonable prices offering a wide range of accommodations are available for less than many other resorts around the region. It’s a great place to rent a house for a large family gathering. The resort is located just three hours from the Washington, D.C. metro area and Baltimore. Follow I-70 to I-68, Take Exit 14 onto Route 219 South. Follow Route 219 for approximately 13 miles. A wide variety of accommodations are available at Deep Creek Lake including hotels, motels, Bed & Breakfasts, cabins, and vacation rental homes. The towns of Swanton and McHenry border the lake. Lakefront properties are the most expensive to rent but there are plenty of affordable places to stay within the area. Rental properties are most popular and available through the following real estate companies. Wisp Resort Hotel & Conference Center is a four season mountain resort with a slopeside hotel offering ski-in/ski-out convenience, overlooking the slopes and golf course. Winter activities include skiing, snow tubing, and snowmobiling. During the warmer months, Wisp features a championship 18-hole golf course, a mountain coaster (like an alpine slide), scenic chairlift rides, mountain biking, kayaking, fly fishing, pontoon boat tours, and more. 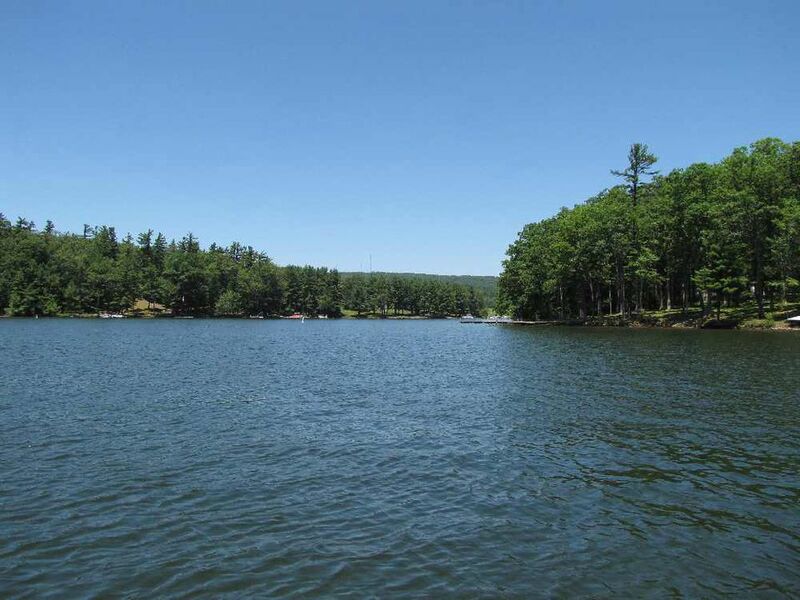 Boasting one mile of shoreline on Deep Creek Lake, the state park offers camping, swimming, picnicking, boat launching, interpretive programs, hiking, and a variety of recreational opportunities. The Discovery Center, a 6,000- square foot facility features nature exhibits on turtles, foxes, black bears, and more. The center has an on-site aviary full of rescued and rehabilitated birds of prey. Interpretive programs include evening campfire programs and talks and hikes on the natural and cultural resources of the park.